I love designing small spaces. LOVE it. I think it is the combination of designing über-organization, space planning and essential style/personality that make it fun for me. 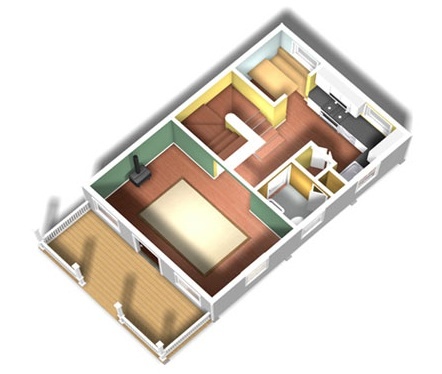 As I have shared with you before, I also love to browse house plans. Space planning is one of my favorite things to do and having a blank space like an empty floor plan is my recipe for lots of lovely daydreaming. You can readmore about some of my favorite sources for house plans right here, right here and also here. So, it is with great delight that I show you the very tiniest house plans that I adore. All of these plans (and all of the house images in this post) are from the Tumbleweed Tiny House Company. Come on! How cute is that tiny house?! 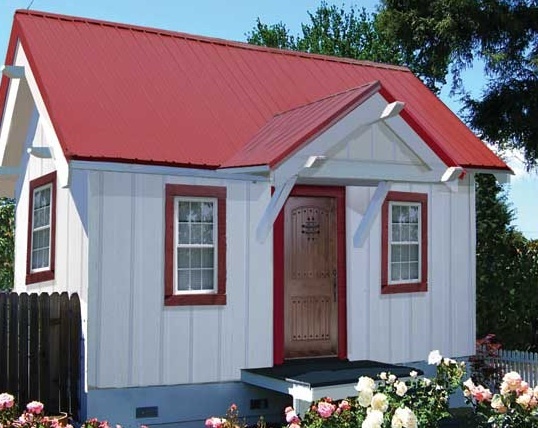 Tumbleweed Tiny House Company has a great variety of truly tiny and stylish homes. Some of you may recognize the model pictured below. It is called the “Beavan” and was featured in one of the final episodes of this past season of HGTV’s Design Star. Tumbleweed offers three types of tiny homes. 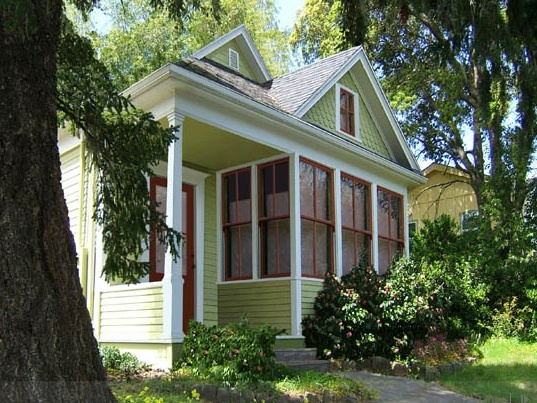 The first type is the “Box Bungalow”, like the “Beavan” model shown above. These very tiny homes are designed to be built on your own location. They make great getaway cabins and could also make a little hobby space or home office behind your regular home. 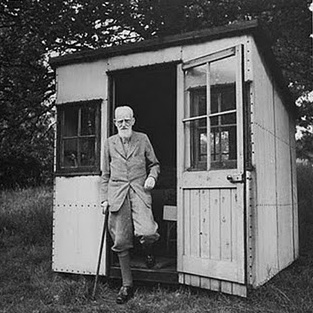 He just needed a quiet little space away from the main house to focus and do his writing. 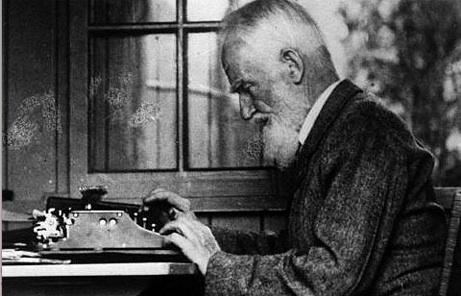 Shaw was on of the founders of the London School of Economics and here is more proof that he recognized a great economical solution when he found one. This is also proof that the Tumbleweed Tiny House Company is really on to something timeless and useful. I think this is a very flexible, creative living space. You can buy the plans and build it yourself or order it ready-made. 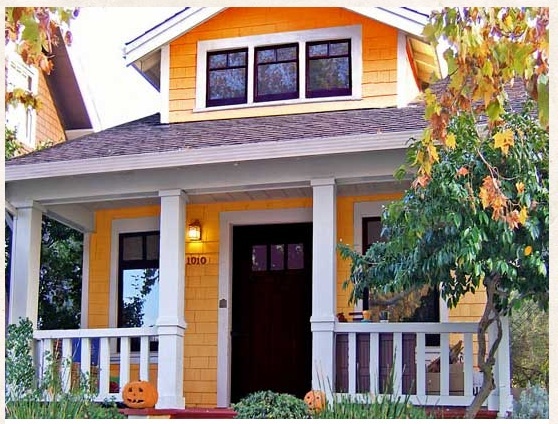 Think of how wonderful this house could be for victims of terrible disasters like Hurricane Katrina or the huge earthquake in Japan earlier this year. Have house, will travel to safety as needed. Okay, the last category of houses form Tumbleweed is my very favorite. 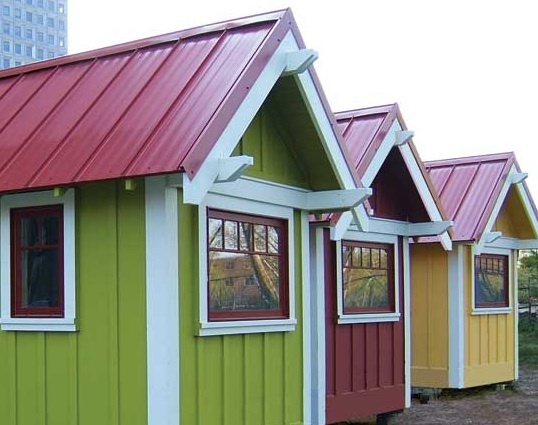 They are actually “Cottages”, designed to be build on site (non-portable) as guest houses or small homes. They have some great character detailing. My personal favorite of these cottages is the “B53” model, which is pictured below. 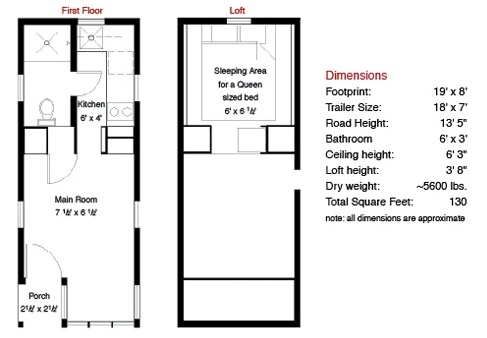 This two bedroom home has 777 square feet on two floors. How great is that curb appeal?! Don’t you love the porch? 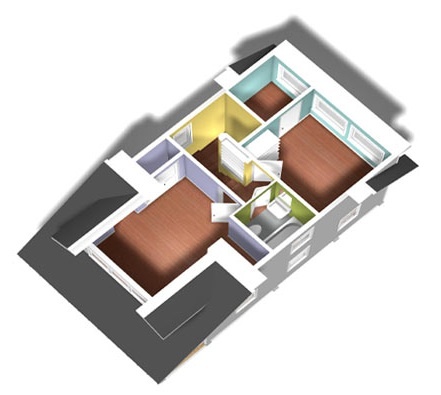 I particularly love the second floor on this plan because of the walk-closet off of the second bedroom. It has a nice window, so you could also use this room as a nursery or a well-lit home office. What would you do with that bright walk-in closet? Three bedrooms is very nice for a small house. Did I mention how affordable these homes are? 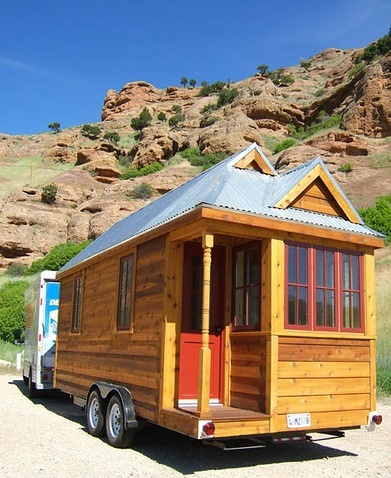 The “B53″model I’ve shown you is one of the largest houses that Tumbleweed Tiny Houses Company offers and its extra-bedroom floor plan has estimated building costs of only $58,000. There are a lot more to choose from in their catalog and you can see all of them on their website. Could you see yourself in one of these tiny homes? Where would you put one as a vacation home? What is the smallest home you’ve ever lived in so far? How do you feel about the idea of “living small”? Leave a comment and share your thoughts! Posted on October 25, 2011, in Architecture, Decor, Lifestyle. Bookmark the permalink. 3 Comments. Very cool! I’ve seen these on design shows, too, but what’s it like to really live in them? You’d have to be very organized. My husband and I have been considering tiny living…with our tiny son. We figured until he was old enough to need a door, we could live mortgage free and enjoy his wee years instead of maintaining a lot of material things. We own a beautiful, secluded lot, but after our years in the Pacific NW, I’m in love with a Rambler style house. The B-53 is the PERFECT solution. Comfortable, beautiful, and above all…DOABLE. Small but not outrageously tiny, and easy to build without a large impact to our environment. 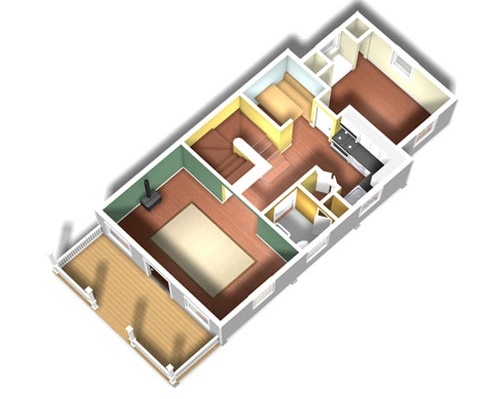 Thanks for showing the 3D plans, our decision is made!!! Delighted I could be of help! Be sure to stop back and share pictures when your move is complete!